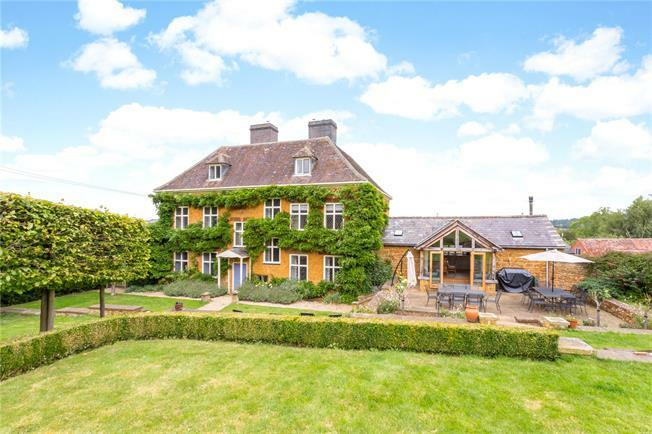 6 Bedroom Detached House For Sale in Banbury for Price on Application. Grade II Listed, the property dates from around 1700. The property was described in a 1946 edition of Country Life as ‘distinguished architecturally, standing back at this corner of the Green, a late Stuart house with hipped roofs and dormers, and its windows have kept the cross bars that preceded the introduction of sashes. Stone steps lead up to its front door, which is set under an arched hood. Inside there is a contemporary oak staircase.’ The property originally formed part of the Holbech Family’s Farnborough Hall Estate.